I went today to see Maria by Callas, a movie on the life of Maria Callas, born Maria Anna Cecilia Sofia Kalogeropoulos in Manhattan. 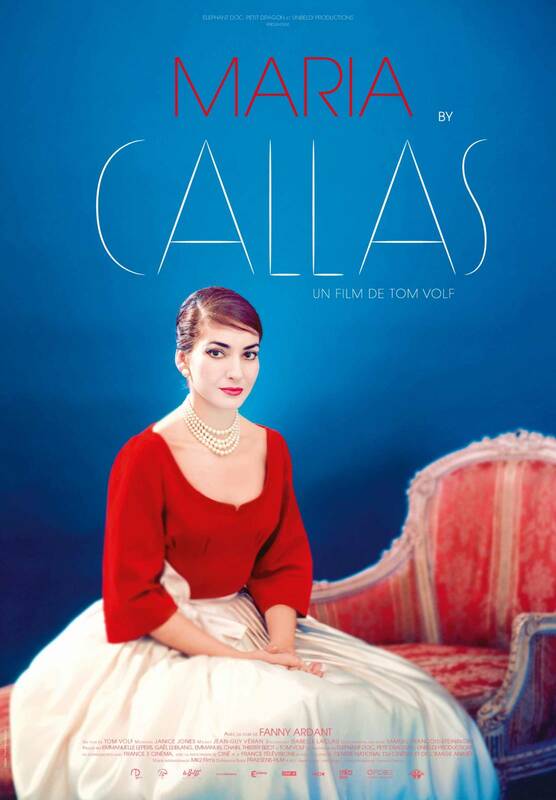 Callas is seen from the perspective of her own words. In the movie she is seen and heard speaking, but I heard only English and French. The speaking voice reading things written by Callas was Joyce DiDonato. Extensive footage of Callas in interviews is included, including a long one with David Frost and another with Barbara Walters. We were shown the most important people in her life: her mother Elmina Evangelia who organized her life into a musical career, her teacher Elvira de Hidalgo who created her wonderful technique, her husband the wealthy industrialist Giovanni Battista Meneghini who acted as her manager for most of her career, and her boy friend Aristotle Onassis. They don't get to speak for themselves, but there is footage for all four. Callas's voice swells to anger only in discussing the breakup with Rudolph Bing, then the manager of the Metropolitan Opera. She wanted new productions. Someone who has already triumphed at La Scala has a right to expect this. But she blames Meneghini for these problems. After the blow up with Bing, she separated from Meneghini. Anyone interested in Callas should see this. It is best for the pictures and films from all phases of her career and for the carefully selected recordings that play throughout. My favorite was "La mamma morta." I thought I spotted Franco Corelli several times. Even as a very young woman her huge voice boomed out. She was even chosen as a Wagner singer at the start. It was her giant voice that separated her from the crowd. You will see more facial expressions here. The men in her life were unquestionably bad for her. The overall impression is that she was extremely sensitive and took the storm that followed her everywhere very badly. She more or less retired at 41 and died at 53. Opera singing is very hard and requires a peaceful life. She emerges more fully human than ever before. I'm putting this here so I can watch it later. thanks for the link to your blog, Barb. Please keep them coming! Good application to help people watch movies and download movies all the time, showboxvpn is the pioneer for downloading showbox for ipad for free.